Keith Ferrera raises to 9,000 from late position before Rainer Kempe (pictured) three-bets next to act in the hijack to 30,000. Action folds back to Ferrera, and he four-bets to 64,000. Kempe responds by pushing forward a five-bet amounting to 134,000. Ferrera announces he is all in for over 900,000, and Kempe calls all in for 335,000. Ferrera was in a strong position to further his chip lead, and when the flop lands , he renders Kempe drawing dead to runner-runner quads. 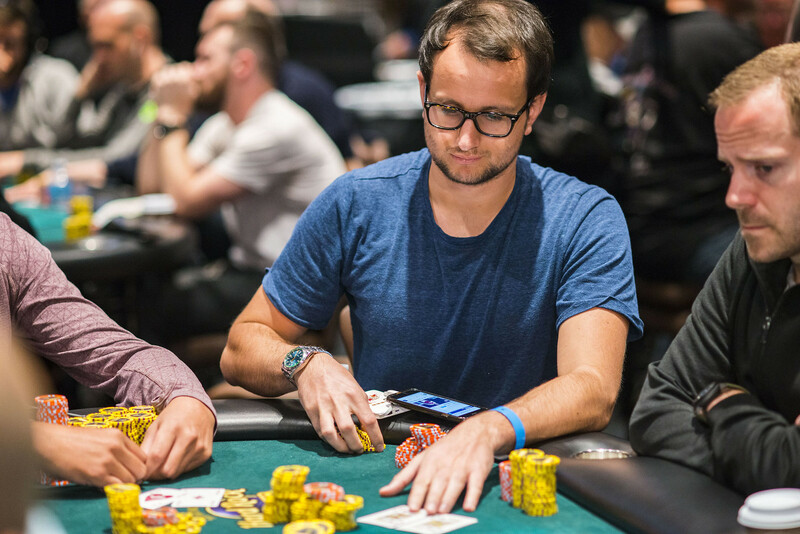 The turn and river land the and , and Kempe is eliminated while Ferrera soars to nearly 1.3 million in chips.